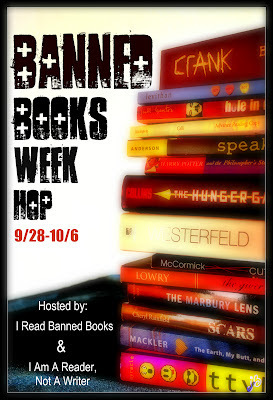 It is my pleasure to co-host the Banned Books Week Hop with Kathy from I Am A Reader, Not A Writer! I think my blog title says just a little bit about how I feel about the freedom to read, but in case it wasn't quite clear...I Read Banned Books. And, I support others that do as well! 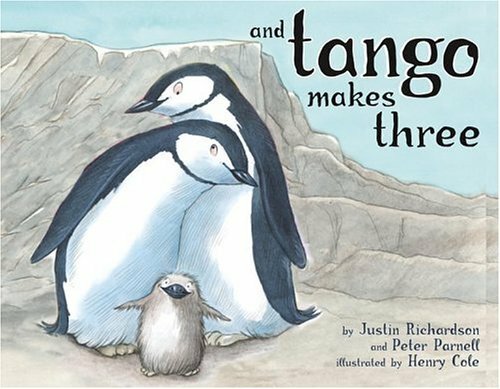 Banned Books Week is a week to celebrate Intellectual Freedom, Don't get hung up on the term "banned," we haven't actually banned a book in years, but we do challenge a book for removal. No bueno. Why did I choose these books? Because these two titles have topped the challenged book list many years since they were published. Plus, its about time you read to see what all the hubbub is about! Fill out the fancy doo-hickey to be officially entered. US only.